Excellent accommodations, very comfortable beds, quality linens. Great shower with generous hot water. Full kitchen, espresso machine, refrigerator, dishwasher. Beautiful setting on hilltop, gorgeous views. Patio with seating, umbrellas. Host is enormously generous with recommendations. Very peaceful, serene stay. Will hope to repeat this visit and dine out on the memories until then. Loved the Tuscan look of our apartment and the views are awesome. Bed was very comfortable. The owner was fantastic and friendly. 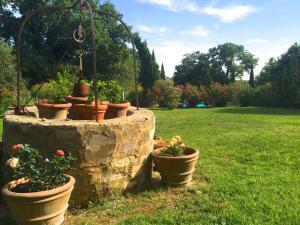 It was the perfect home base for us while visiting the Tuscany area for one week. Andreas was extremely helpful. The apartment was clean with fresh linen. Rural location so ideally 4x4 to get up the windy uphill road to the property. So relaxed and peaceful. Well equipped and comfortable apartment, with a thoughtful welcome pack of food and drink. Lovely pool with the biggest bonus, a springboard, such fun. Wonderful Tuscan views. Evening BBQs. Andrea, the owner, such a warm and friendly guy, helped sort out an unfortunate parking fine from Montalcino. 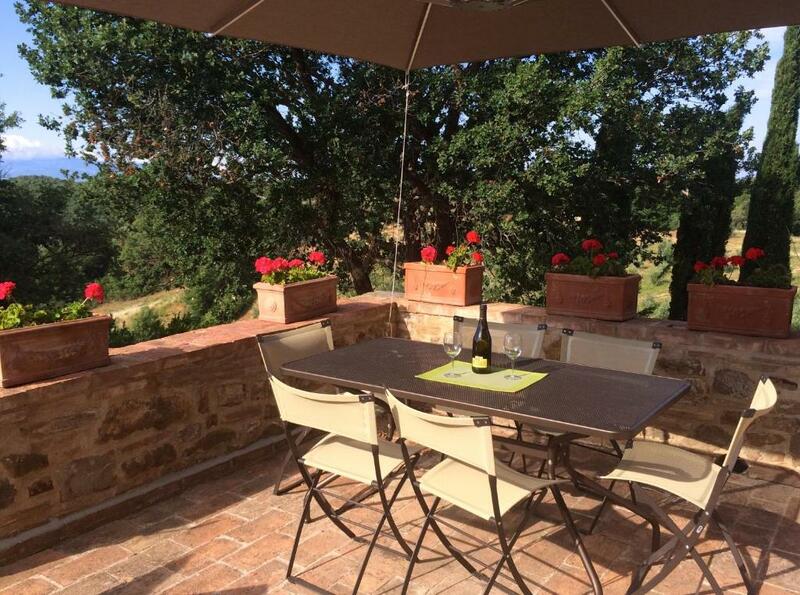 Montalcino close by is stunning with great restaurants, bars, good supermarket and places to see. Lots of other towns in area, we just didn’t have time. 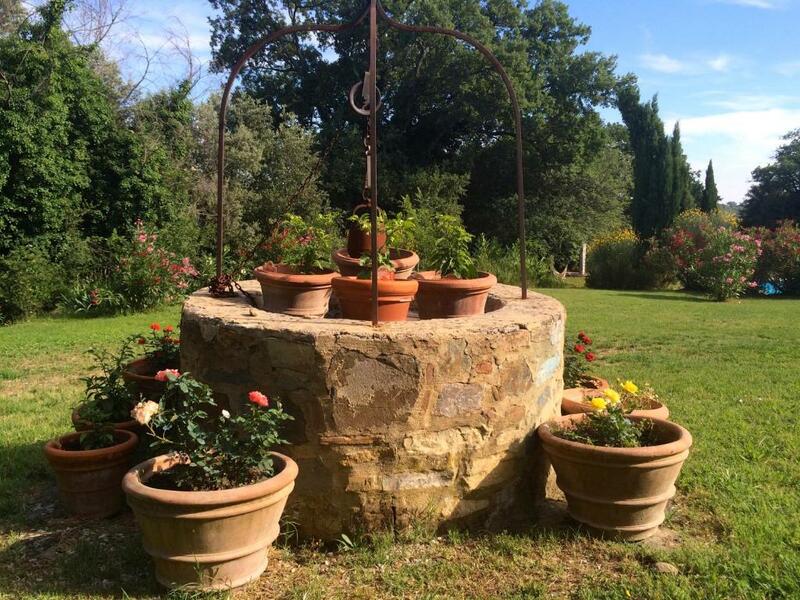 If you to want to stay in a beautiful countryside stone mansion with fantastic scenery, fresh air and a really wonderful host, this is the place. Andrea made our stay the highlight of our trip to Italy. It is so different from my place of abode (Singapore) and that made it so refreshing. Thank you Andrea for making our stay so wonderful and thanks also for the barbecue dinner. Our host was so kind. He had maps of the area for us, recommendations for places to eat and best of all, scheduled massages for us at the home. We loved walking around the farm and relaxing. We slept so well, we would definitely go back. Not too far from town to drive, easy to get to places from here. Ice machine was great at end of day. Well appointed kitchen. Breakfast pack was excellent. Andrea was great host. The property is absolutely beautiful. Andrea (and his dogs) were welcoming and extremely friendly. The apartment was very very clean and tidy. It had all the necessary kitchen tools to make delicious meals. (We got groceries in town and cooked for ourselves- some of our best meals in Italy!) Andrea booked us a car for our winery tour (Chiara made our day!). The pool was perfect and we enjoyed many hours there. We had a picnic table outside our door and used that to dine al fresco. Truly a remarkable place- we will be recommending it highly to friends and family. Lock in a great price for Montecaprili – rated 8.8 by recent guests! 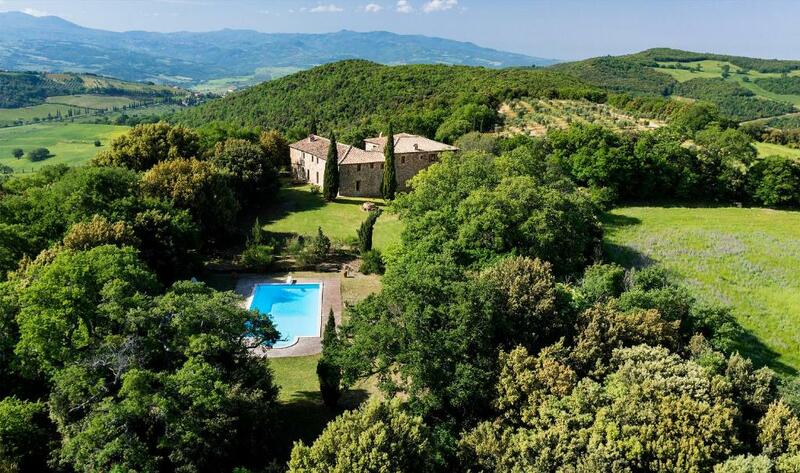 Located in a peaceful area in Montalcino, Montecaprili offers an outdoor pool, a 15-minute drive from the center. This self-catering accommodations features free WiFi throughout. Each apartment will provide you with a flat-screen TV and a patio. Featuring a bath or shower, the private bathroom also comes with a hairdryer and towels. 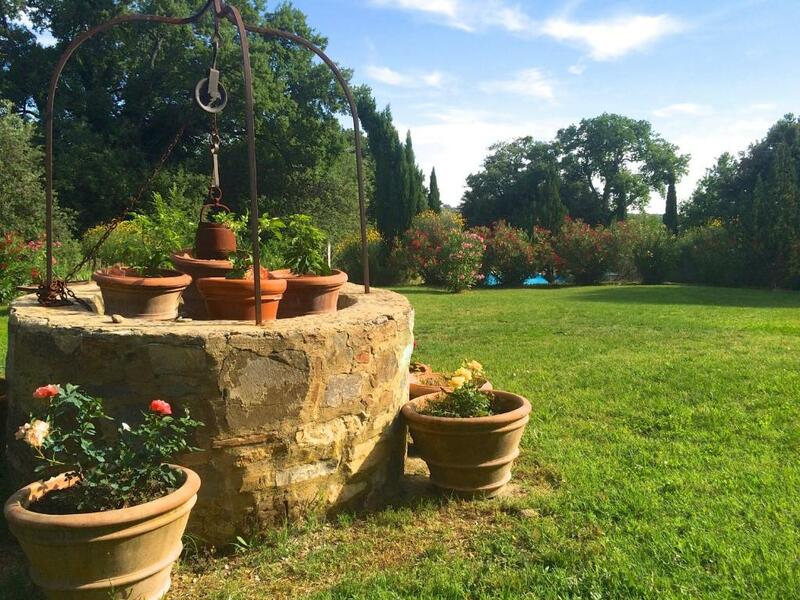 Montecaprili is a 25-minute drive from Seggiano, while San Quirico D’Orcia is 13 mi away. When would you like to stay at Montecaprili? With free WiFi, this loft features a flat-screen TV and a patio. Featuring a bath or shower, the private bathroom also comes with a hairdryer and towels. With free WiFi, this apartment features a flat-screen TV and a patio. Featuring a bath or shower, the private bathroom also comes with a hairdryer and towels. With free WiFi, this apartment comes with a flat-screen TV and a patio. Featuring a bath, the private bathroom also comes with a hairdryer and towels. Located on the first floor, this studio features a furnished balcony and free WiFi . It has a large double bed and a private bathroom with bath. 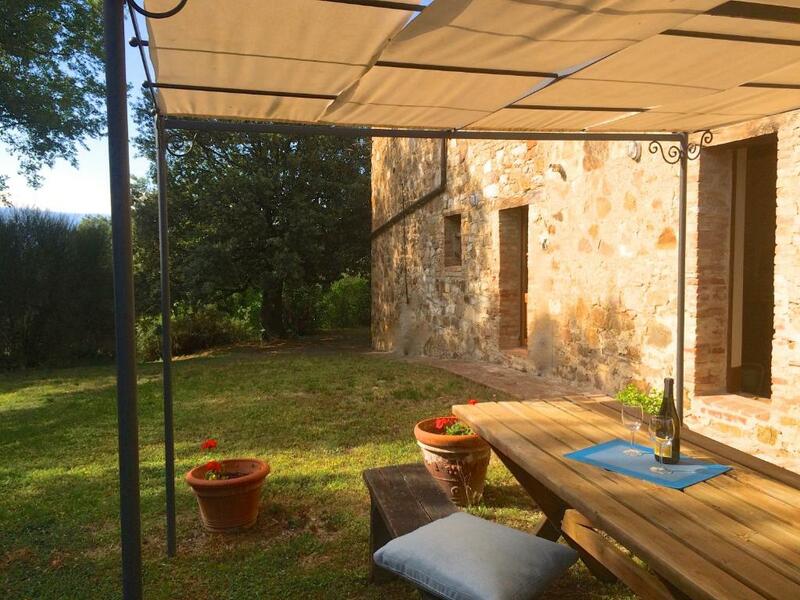 Montecaprili is an old farmhouse completely restored, set upon a hill and surrounded by centuries-old tree. 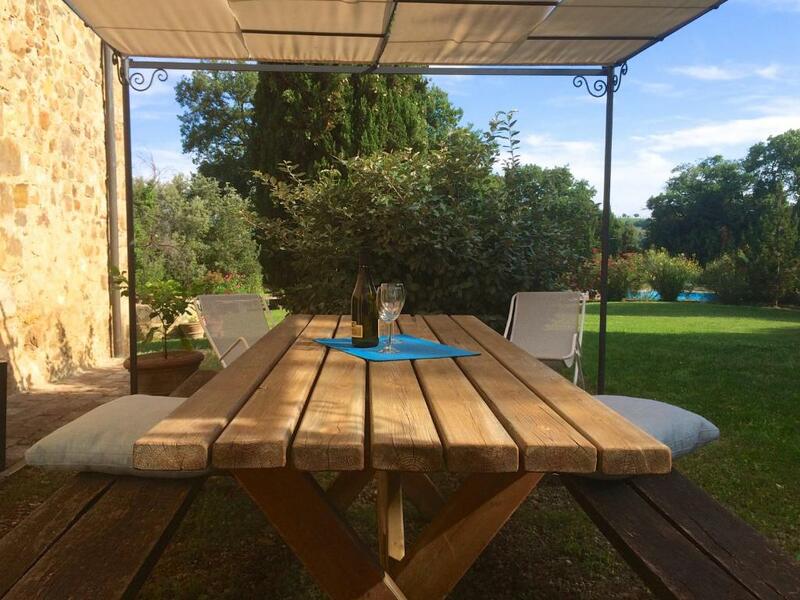 Five large apartments all carefully furnished with antique Tuscan furniture and equipped with modern amenities. Concierge service on demand, always available to provide you with the very best suggestions and to arrange any extra service. Your taylormade experience in Montalcino. Enjoy the peacefull and enchanting grounds, including the large salt water swimming pool (9 x 17m.) and the hiking paths that take you to some of the famous Brunello wine producers. House Rules Montecaprili takes special requests – add in the next step! ATM card Montecaprili accepts these cards and reserves the right to temporarily hold an amount prior to arrival. Montecaprili accepts these cards and reserves the right to temporarily hold an amount prior to arrival. Please inform Montecaprili of your expected arrival time in advance. You can use the Special Requests box when booking, or contact the property directly using the contact details in your confirmation. Seriously enjoyed our stay. Why look to complaint? Could have done with a shower curtain and instructions for the cooker but no other issues! We stayed 4 years ago however the condition of the property has deteriorated significantly since then. The grounds are in a poor condition with parts of them looking like a scrap yard and the cleanliness of the apartment was not great - we have to give the apartment, kitchen & utensils a clean before use. Luckily the weather was not great as the pool area was unusable. The location is fantastic but for this price point they need to lift their game. 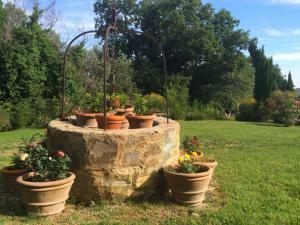 We spent two nights at Montecaprili in the Studio room. We were disappointed as the Studio was described as self catering but it was not sufficient to cook in. There was no sink in the kitchen meaning we had to wash up in the bathroom and there was just a hot plate to cook food on which did not get hot enough to boil water. When we arrived the fridge was also on full and the glass bottles inside it had smashed and the kettle smelt as if someone had cooked soup in it. The bed was comfortable however the bedroom was very hot at night without air con. The bathroom smelt damp and the bath and bidet were both stained which is not what we expected for the price of the room. The view from Montecaprili was stunning but unfortunately we were unable to see it from our terrace. The pool was also dirty and not fit to swim in and the owners dogs would shake themselves off after swimming whilst we were sat around the pool. Overall we were disappointed with our stay and the lack of attention to detail and care that had gone into the Studio room and surrounding grounds. We reserved the Studio 6 months before and we were getting disappointed. You can’t cooking there (in the description, it does not mean that there is a kitchen but everything makes you think yes because it enumerates: hobs, fridge, kitchen utensils, etc., but when you find that there is no kitchen corner It does not have a sink where to wash, you have to wash the dishes in the toilet! Also, If you can eat, there was a table in the middle of a aisler or another small and uncomfortable at the entrance. There are no photos in the Booking of these spaces! The only solution that the owner gave us was to use their kitchen (inconvenient because it was in another building) or pay more for another apartment that was free but (very expensive). And, since you have already paid in advance, they have no consideration. If you do not like it ...go away. Also, the photos are more luxurious than it is in fact, the pool is dirty, the road of almost 2 km. 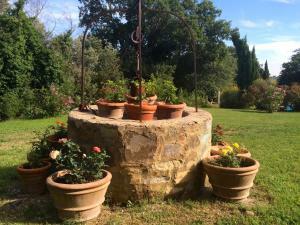 to get there is in very bad condition and dirty and the price of location is the most expensive we have paid in Tuscany and the worst quality. Obviously, I don’t recommend it to anyone. Parents who allow there children to scream all day around the pool. The pool was dirty and there is junk, old cars, equipment and materials on the side of the building. That we didn't spend another day there! The apartment we rented (Loggino) had a very basic kitchen but the others may well have been better equipped. 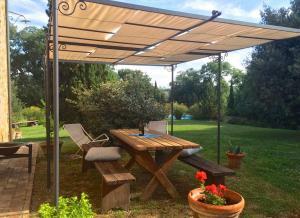 The location (very near Sant' Antimo) was excellent. Be aware there is a long, steep, unmade track to drive up to reach the house.